Review: This is another concise example of a base 4 strategy maps covering all the four organizational objective perspective. 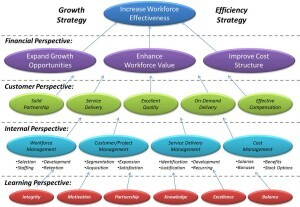 Ultimate target of this strategy map is to increase workforce effectiveness. 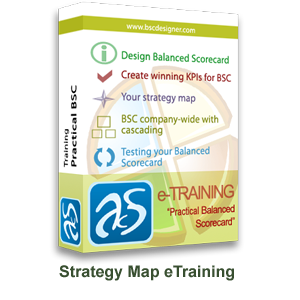 To achieve this target, all the needed actions which fall in the base 4 balance scorecard categories have been efficiently mentioned. Objectives have been quite clearly defined and the relationship among them is very relevant and will definitely help achieve the final goal. 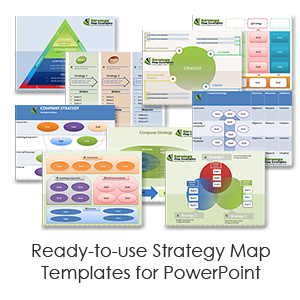 Opportunities: This strategy map can be used in any organization that wants to improve the overall performance of the workforce and human resource. 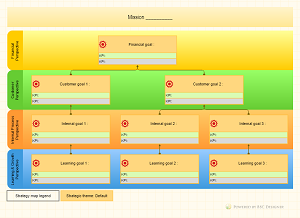 Management of medium scale organization can set this strategy map as a model and can develop a strategy map on this plan which will help them achieve their workforce targets. This map can be utilized for small to medium scale strategy development. 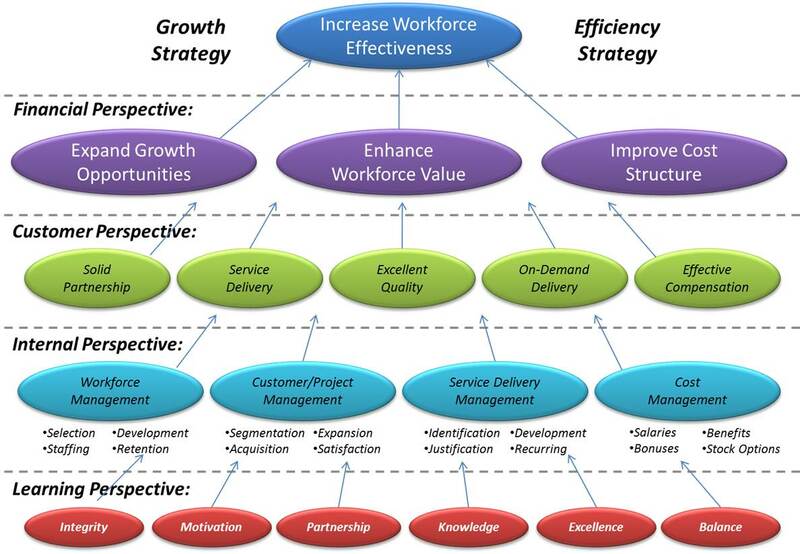 Result: It can be concluded about this strategy map that it is represents an efficient picture of what a strategy map should look in medium scale organization with respect to workforce efficiency improvement. All the objects are tightly coupled which makes this map robust and achieving one objective helps achieve the other which is one of the main goals of strategy map development. An excellent map overall.